You are currently browsing the tag archive for the ‘March’ tag. 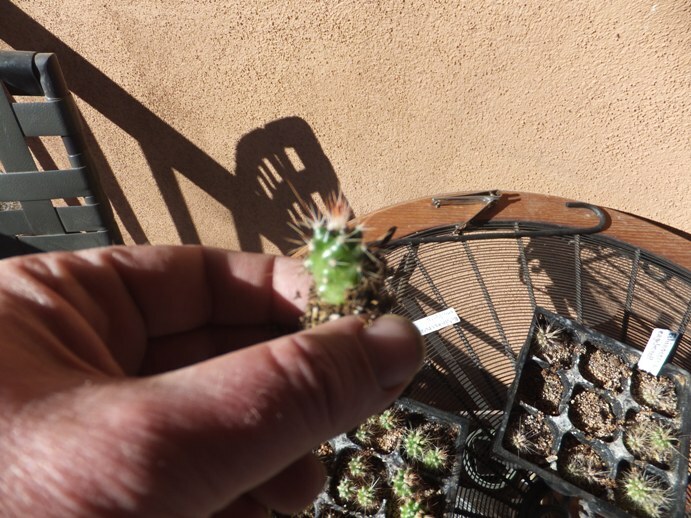 March is, of course, an exciting and busy gardening time. 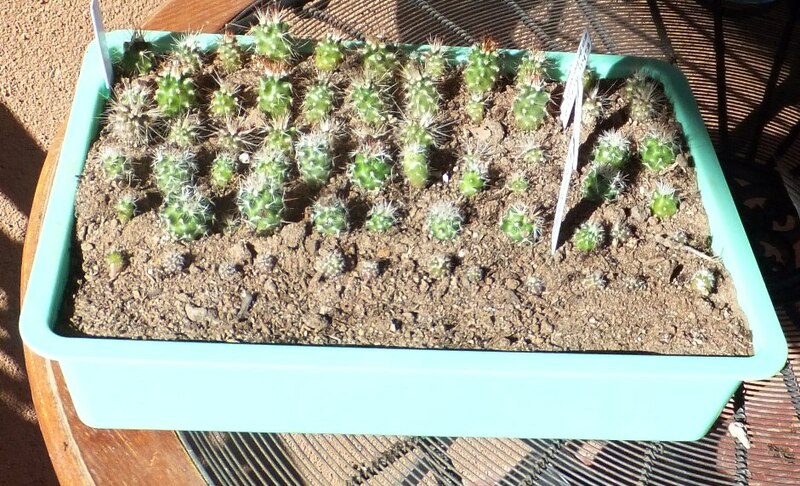 Seedlings under the grow lights are getting larger and taking on a more adult appearance. 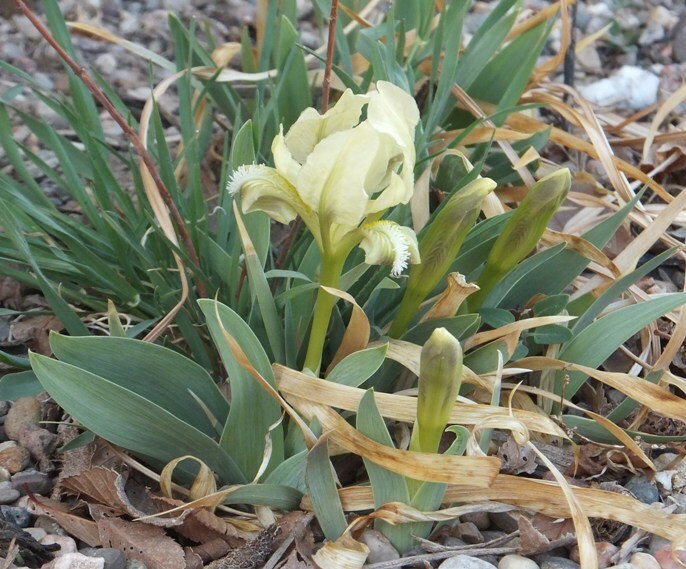 Outdoors, the irises and many other perennials are sending up new growth. In a sheltered bed by the house, daffodils followed the reticulata irises into bloom. In the open garden, it is crocus time, and the first Iris pumila opened on March 22. I cleaned up the pond and restarted the pump. 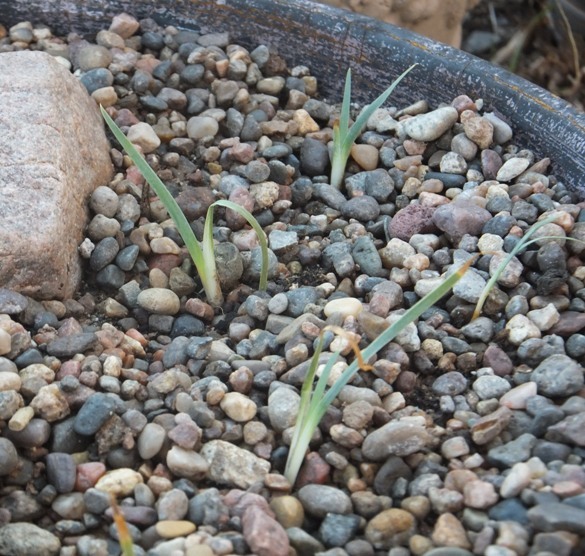 Dianthus seedlings I had started last summer and overwintered indoors were hardened off and transplanted into the garden. Nine seedlings of the exotic oncocyclus species Iris paradoxa, now one year old but small because I neglected to transplant them last year, now have a new home in a planter. 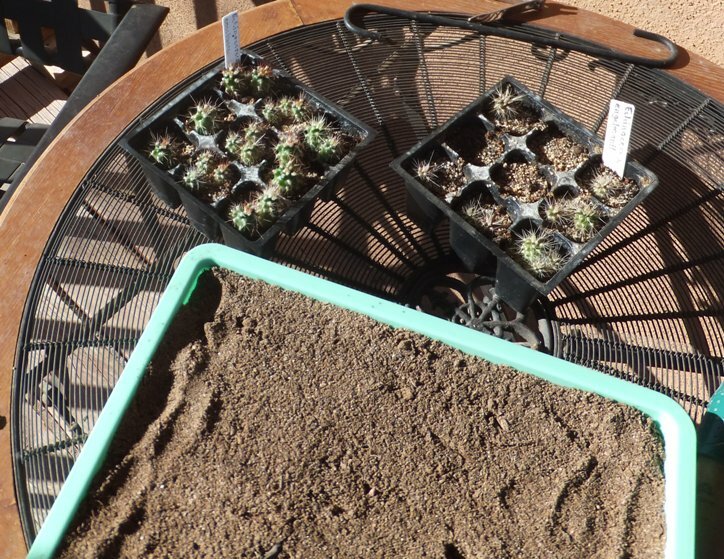 One-year-old hardy cactus seedlings have been moved from the plastic seedling inserts into a tray that will be kept outdoors on the deck until next spring, when they should be ready to plant out. 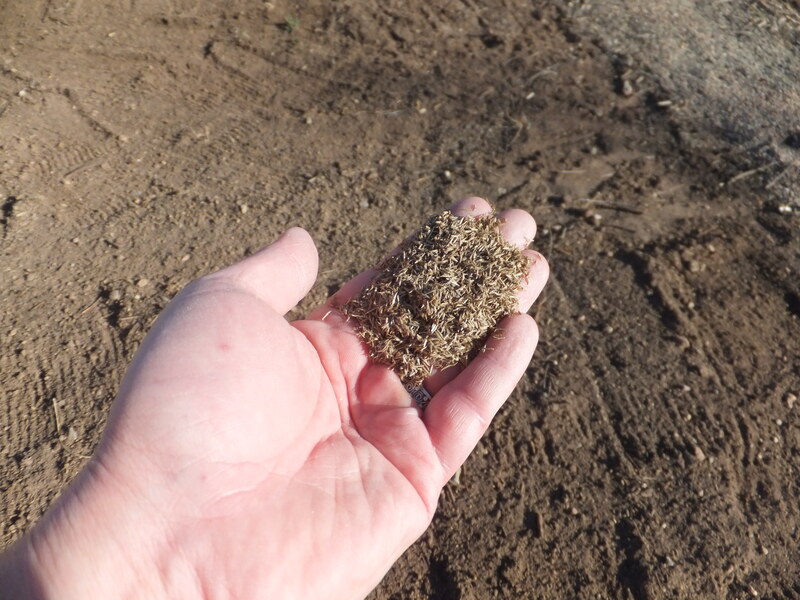 The planting medium is a mixture of commercial cactus mix, sand, and garden soil. 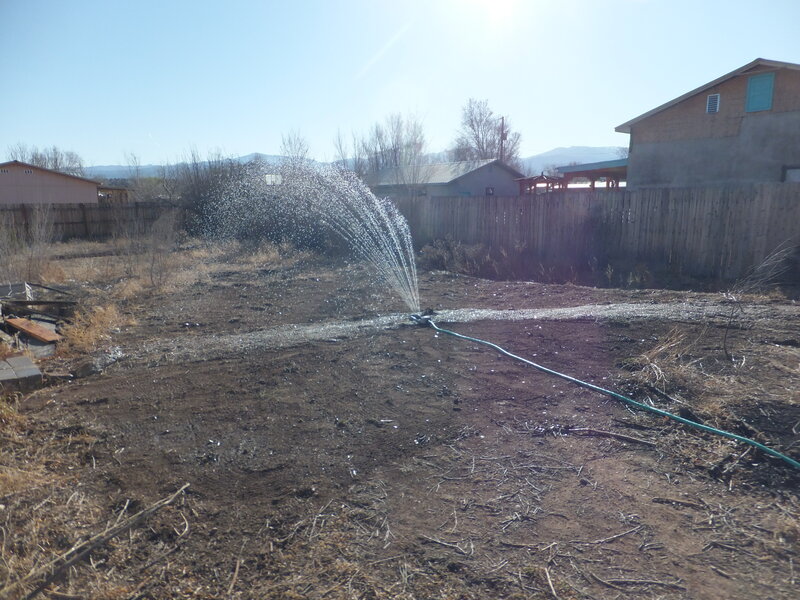 The main activities in March are resuming watering and clearing away last year’s dead foliage and pulling up the cool-season weeds. On the last day of the month, I planted the blue grama grass (Bouteloua gracilis) in the “restoration” area in the back yard. I scattered some native blue flax (Linum perenne lewisii) and California poppies (Eschscholzia californica) in along with the grass seed for good measure.